Our ancestors cultivated a deep, rooted relationship with plants; they harvested plants in ceremony, made herbal medicines with intention, and passed along traditional plant knowledge to help future generations maintain wellness. In many cultures this information was shared orally, through stories or an apprenticeship with a local healer. The books we do have on traditional herbal medicines are a treasure to modern day herbalists; they’re a window into our survival as a species and often hold surprising tidbits on how we once used common plants. 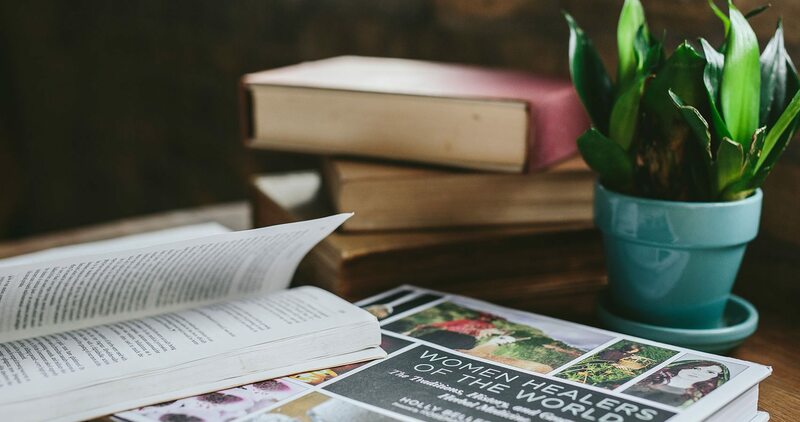 Below, please find some of our favorite inspirational books from western herbalists that focus on traditional plant remedies, as well as the rich history of herbalism. A Modern Herbal, Volumes I & II by Sophia Emma Magdalene Grieve are some of the most well respected herbal books of the 20th century. Grieve is thought of as one of the first modern herbalists. During World War I, in order to help remedy the shortage of medical supplies, she educated people in the power of medicinal plants. In 1931, her informational pamphlets went on to be published as A Modern Herbal, one of the best-loved herbal manuals of all time. You can find excerpts from the book online, here. The Natural History of Medicinal Plants by Harvard botanist Judith Sumner shares both plant medicines and folklore dating back to the Middle Ages in Europe. Through her stories, Sumner teaches about plant chemistry and botanical toxins and offers great how-to’s on preserving medicinal plants for future generations. If you’re looking for more books on herbalism, be sure to check out our first article in this series called An Herbalist Library.